There are a variety of carb blockers available to consumers, but what are they and how do they actually work? To better understand how these supplements work, it is helpful to begin by looking at how carbohydrates are digested and the role they play in your daily diet. When you eat foods, nutrients from that food are broken down in the digestive system and absorbed by your body to perform certain tasks. 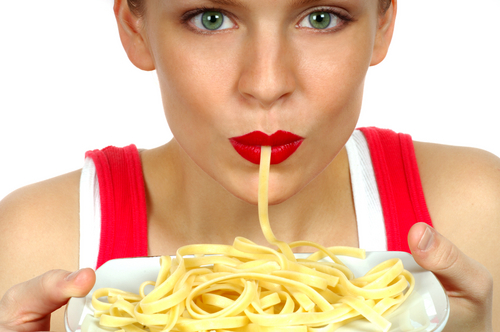 Carbohydrates provide fuel that your body needs to function. A starch-digesting enzyme, alpha-amylase, helps break down carbohydrates into glucose (blood sugar), which your body uses for energy for your cells, tissues and organs. If more fuel is consumed than is needed, the extra is turned into body fat for long-term storage. Simple carbohydrates are easily digested and absorbed by the body and come from refined grains, fruits, dairy products and highly processed foods. Many provide extra calories with very little nutrition and may contribute to weight gain. Complex carbohydrates take longer for the body to absorb and are found in whole grain breads and cereals, starchy vegetables, and legumes. They promote good health by delivering vitamins, minerals and fiber to your body. The supplements that are categorized as carbohydrate blockers contain an enzyme extracted from the white kidney bean (phaselous vulgaris) that prevents the enzyme, alpha-amylase, from binding with starches (carbohydrates). This ingredient may help prevent the body from absorbing the carbohydrates, which may be helpful in preventing a build-up of excess body fat if you consume more carbohydrates than your body can use. It is important to keep in mind that many of the supplements that are available only help your body block carbohydrates; they do not prevent your body from absorbing the calories that are found in fats and proteins. While these supplements may help you lose weight, they are best used occasionally, in situations when you happen to eat more carbohydrates than your body needs. They are not recommended for everyday use. A healthy diet, with whole grains, starchy vegetables and legumes, and daily exercise are the best bet for maintaining a healthy weight. why isn’t there any thing REPORTED about STEADY POWER? Hi Tillie! We have some information about Steady Power coming in the pipeline. Is there anything specific we can answer for you?